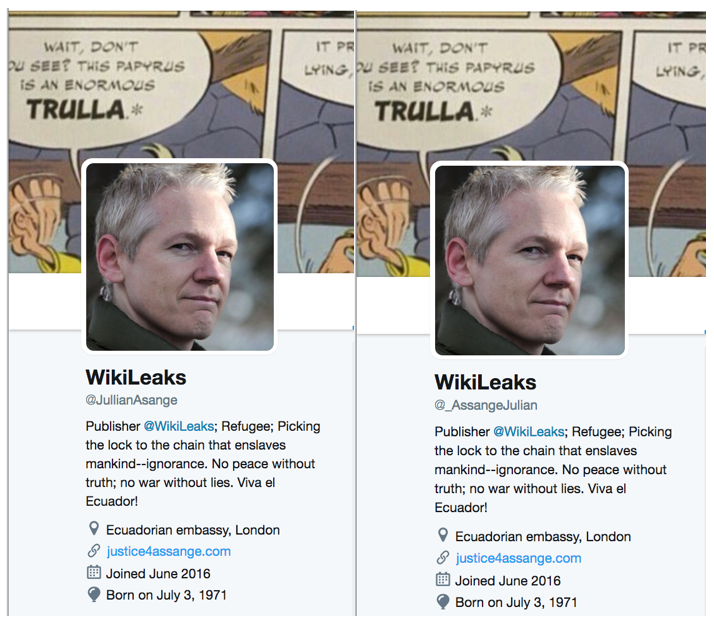 A lot of time and therefore money is being expended in creating Assange impostor accounts for Black Propaganda. Please consider to report them to twitter for impersonation to get them suspended then block. 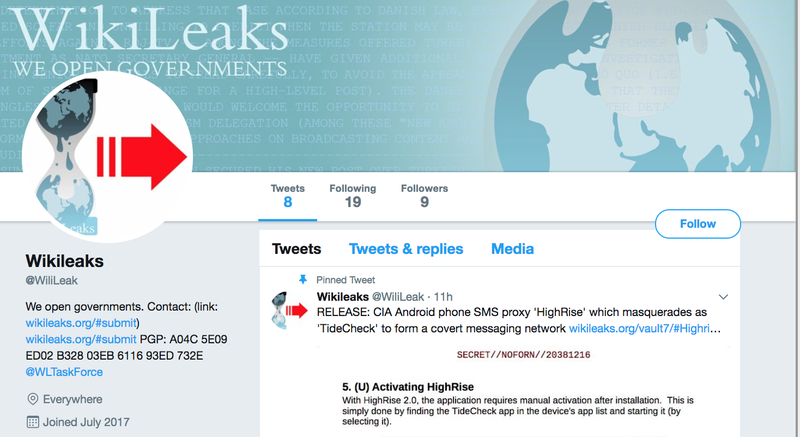 Although the Black Propaganda teams working on the impostor projects can create new impostor accounts, eventually with every suspension their job is becoming more difficult as handles suspended cannot be used again. 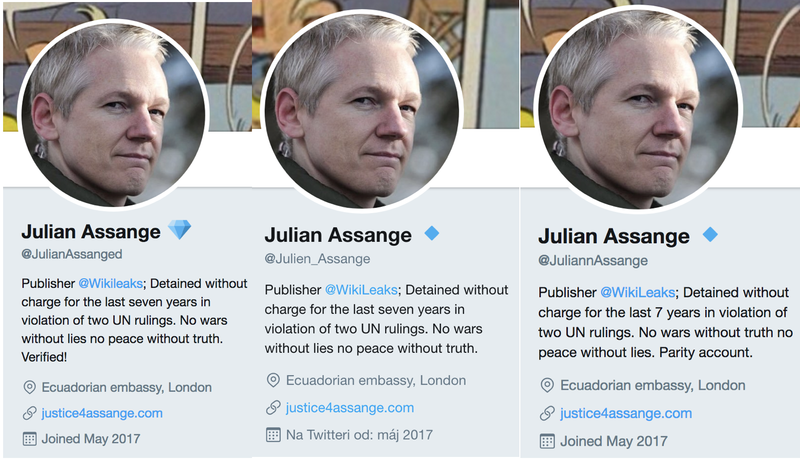 Julian Assange @Real_Assange changed to Julian Assange @JulianAssunge and then to @JulianAssanged adding a diamond symbol for verification, then changed again to @Julien_Assange and then to @JuliannAssange, @RealAssange always the same twitter ID 860223427180773376. 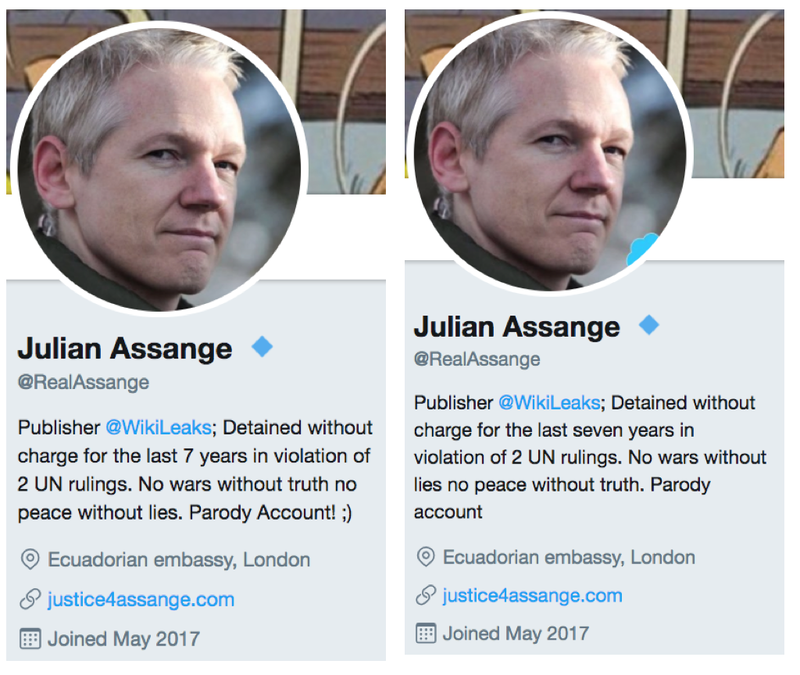 As the account changes handles any search for the pages produce “page does not exist” whilst the current page retains all the tweets and followers of the historic accounts from the day of creation. 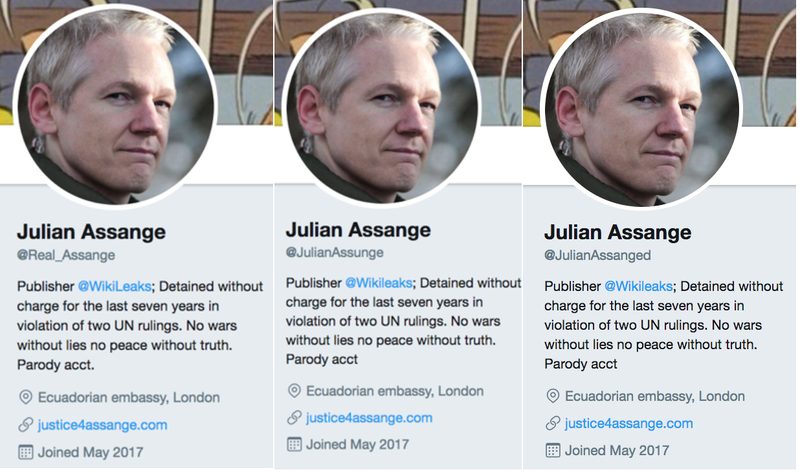 This is the way the account handlers avoid being suspended by twitter, leaving room to re-cycle the same handles in the future. 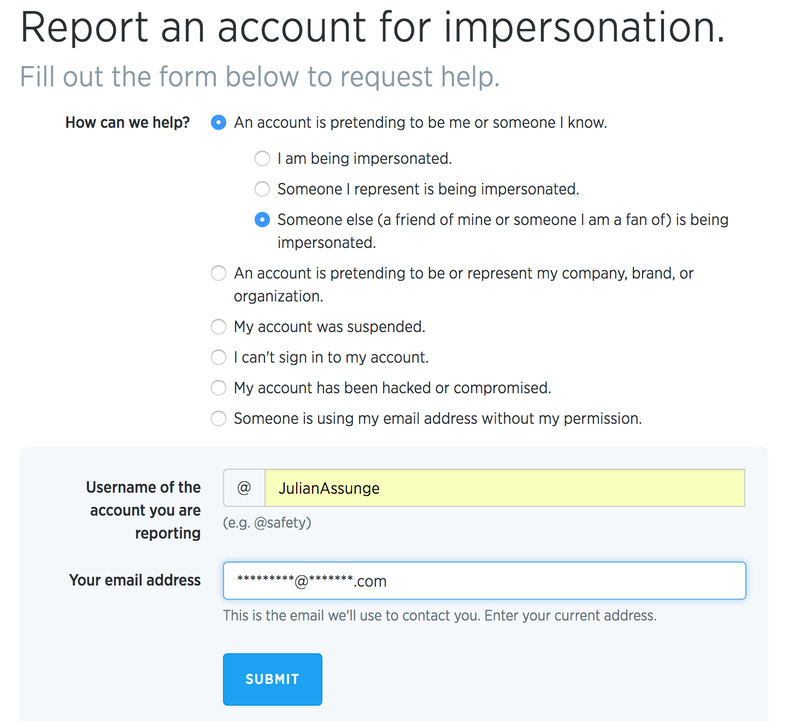 WL supporters have been busy reporting the account for impersonation, let’s hope Twitter suspends the account soon.